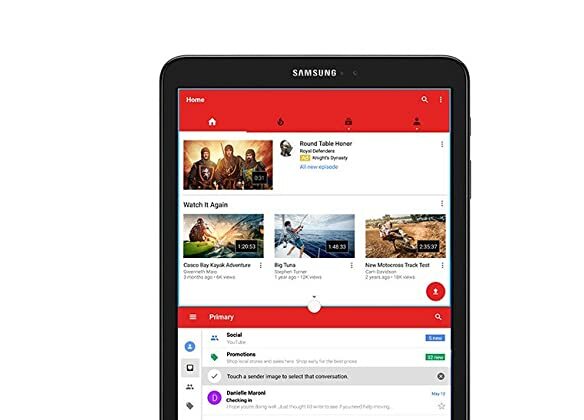 The Galaxy Tab A's vibrant 10.1 inch high-resolution screen makes everything come to life, whether you're watching movies or catching up on the latest news. The new Tab A 10.1 inch is your perfect entertainment companion. Stay powered up for up to 13 hours of Internet usage* with a long-lasting battery, optimized by a powerful Octa-core processor. And because you have the latest Android operating system, all your favorite games, apps and more are right there waiting for you. *Average expected performance based on typical use. Actual battery life depends on factors such as network, features selected, frequency of calls, and voice, data and other application-usage patterns. Results may vary. 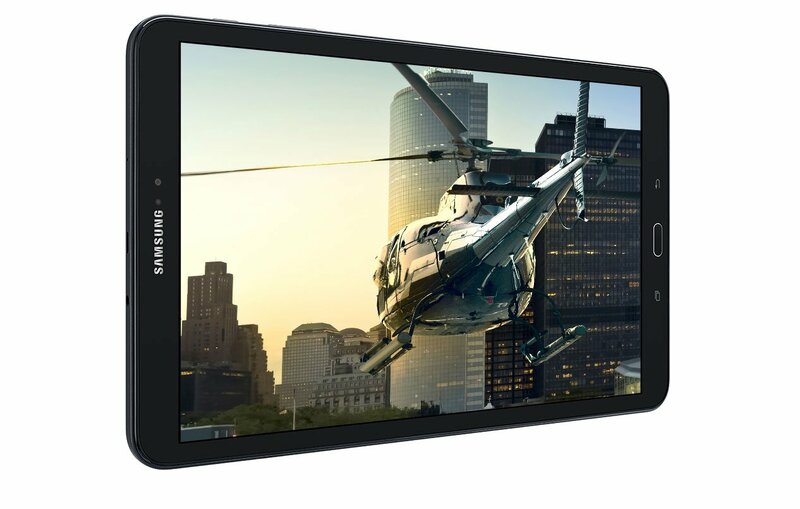 With a microSDTM card*, expand your tablet's memory from 16GB** up to an additional 200GB. That's enough to store more than 160 movies or a lifetime of memories. *Memory card sold separately. **Portion of memory occupied by existing content. 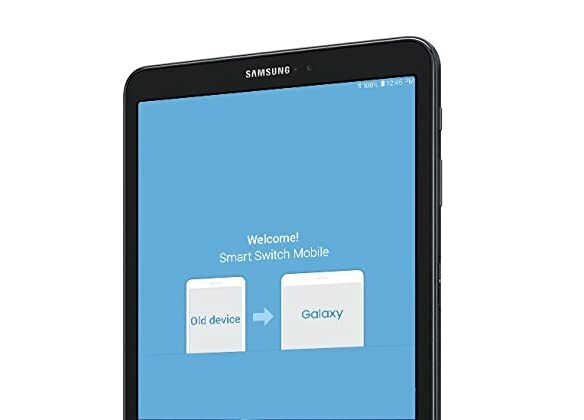 With Quick Connect, share videos and photos from your Galaxy Tab A 10.1 screen to your Samsung Smart *TV or start a show on your TV and, with the simple touch of a button, take it with you by moving it to your tablet. *Compatible with 2015 and later Samsung Smart TVs. Make the most of your time with advanced multitasking tools. Easily open two apps side by side* so you can chat with friends online while watching your favorite shows. Or check an email and play a game at the same time. *Multi Window does not support all applications.